Lake Louise is renowned worldwide for its spectacular emerald blue colour and considered by many to be the crown jewel of Banff National Park. Nearly as famous as the lake, the Fairmont Chateau Lake Louise is a feature of one of the most photographed scenes in Canada. This impressive hotel sits on the edge of the lake with breath-taking views of the scenery available from every aspect. Rooms in the hotel offer all the comforts expected with the Fairmont name. It cannot be beaten on location! 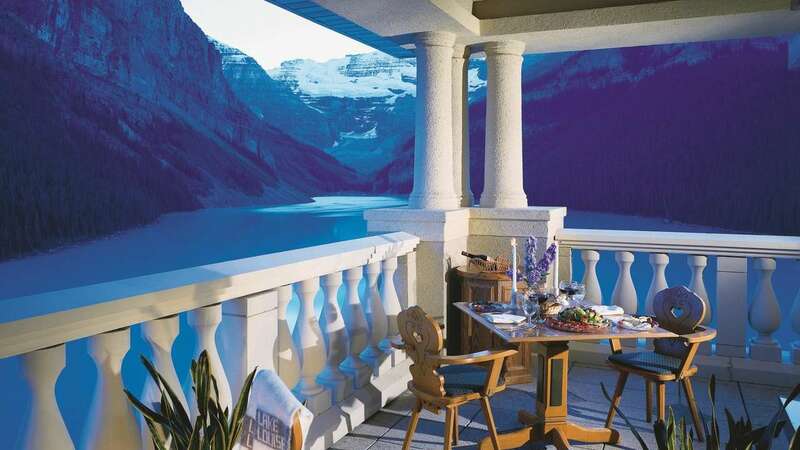 It never fails to impress with breath-taking scenery surrounding the hotel and the exquisite views it offers across the emerald blue Lake Louise. This is a must do on a holiday to the Rockies and be sure to book a lake side room to avoid disappointment.